Learn how to make fresh, homemade sausages just in time for a summer barbecue. In this hands on workshop, you will be making your own batch of sausages flavoured with your own choice of spices or seasonings. Take home your freshly prepared sausages to cook and enjoy. These sausages have no added preservatives and are made from pork mince, with optional chicken or beef mince available (please notify us upon booking your preference). Enjoy a delicious lunch of pork sausages with bread rolls at the end of class. Margaret Monello was born with a wooden spoon in her hand. She has been cooking since she was 9 years old and has an infectious passion for cooking and teaching others. 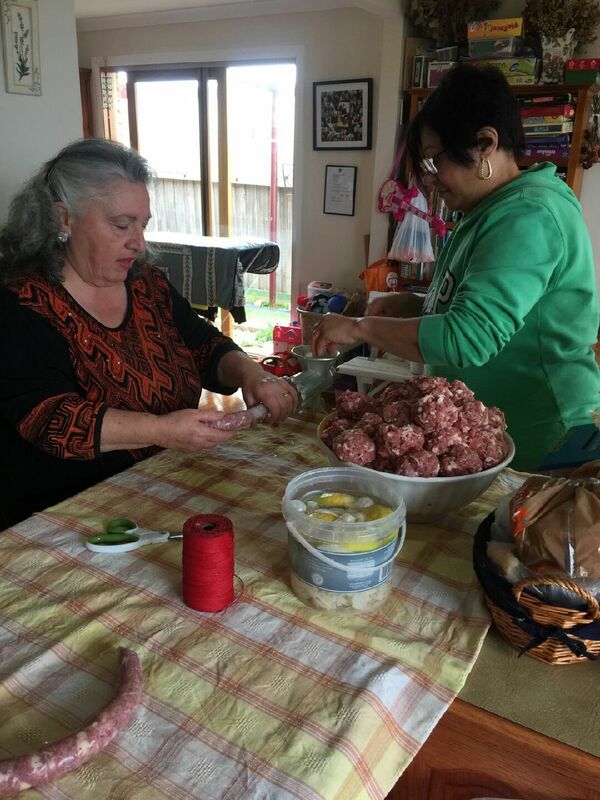 She uses traditional recipes from the Basilicata region of Italy in her classes.